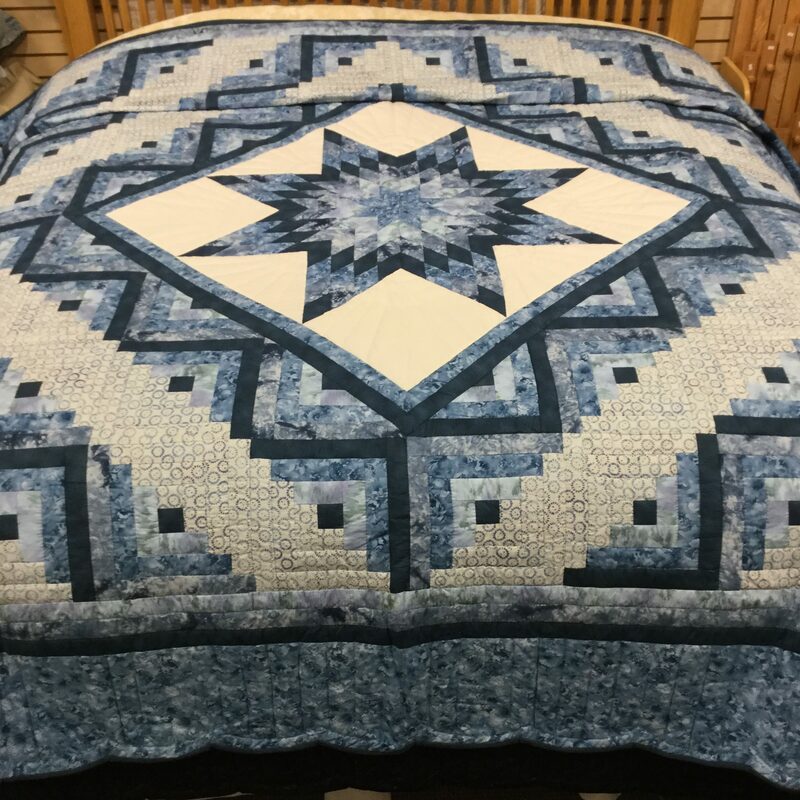 Measures 112″ x 113″ long. 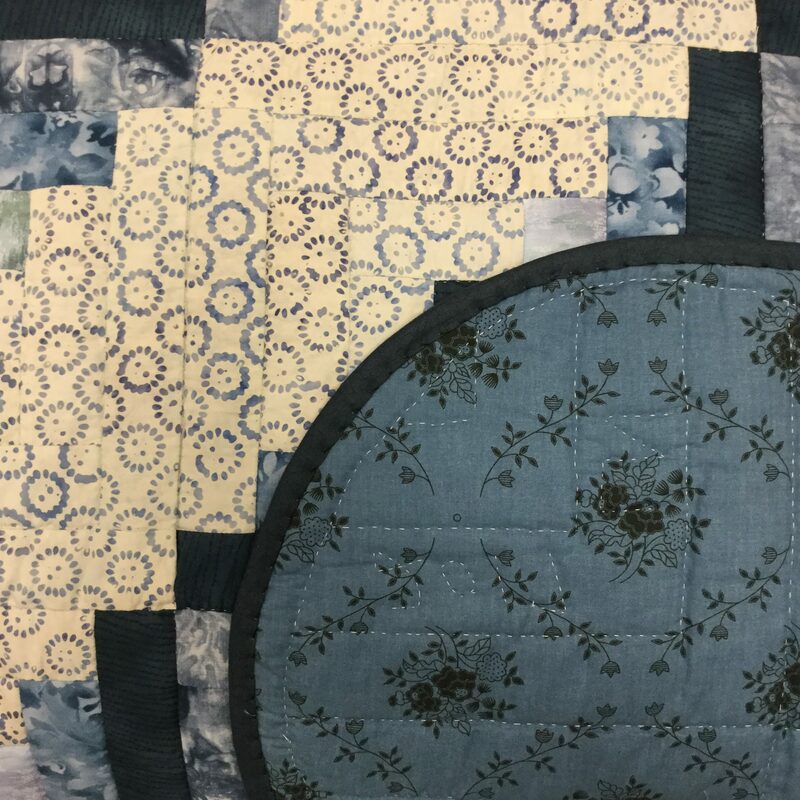 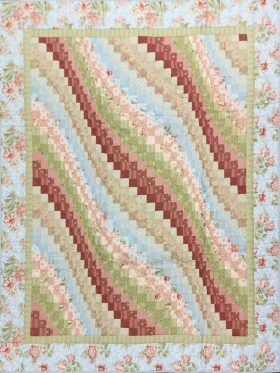 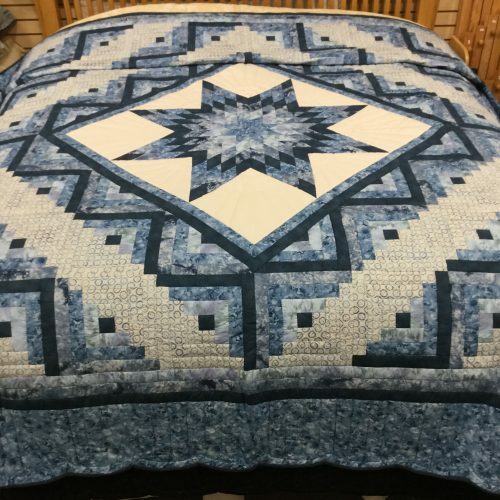 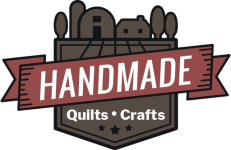 A handmade Amish quilt makes a comfortable bed spread and a family heirloom to be passed from generation to generation. 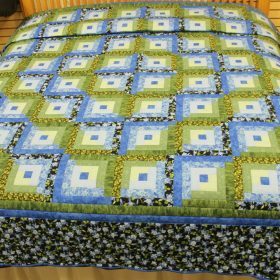 Each quilt is handmade with love by one of our fine quilters. 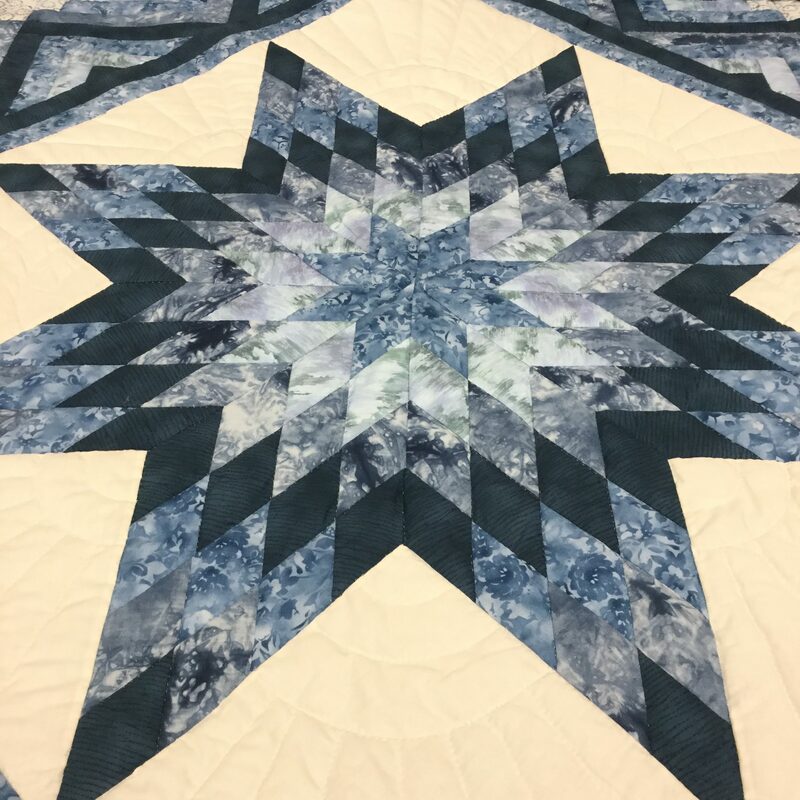 A large center star pops out between blue and gray Log Cabin patches. The quilt is initialed and dated and quilted with 302 yards of thread by one woman to ensure consistent stitching. 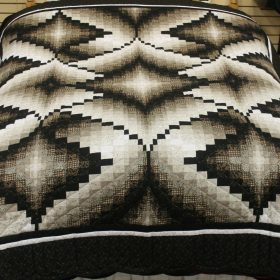 On a king bed, this quilt will have a 17-inch drop per side.